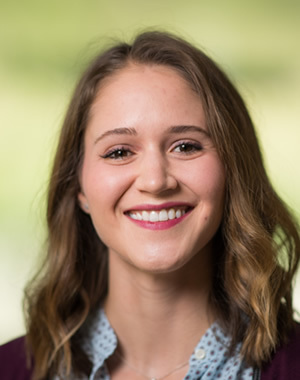 As the Student Engagement Coordinator in Graduate Career Services, Claire promotes career development events and opportunities to assist students as they pursue their career-related goals. She also provides career advising and leads workshops for Ford School graduate students. Before joining the Ford School, Claire worked with students at the UM College of Engineering Center for Entrepreneurship and as well as the Engineering Career Resource and Advising Centers. Claire completed her Master of Arts in Higher Education with a concentration in Student Access and Success at the University of Michigan in 2017. Before moving to Michigan, Claire received her Bachelor of Arts in Communication Studies at the University of Nebraska — Lincoln.